For the first time in a long time the sun is shining down hard in Brighton for a second day running, which gives me the motivation to sit down outside and reflect back on this year’s sensational Electric Elephant festival in Croatia. Electric Elephant was founded 5 years ago by Luke Cowdrey and Justin Crawford, aka The Unabombers. The duo were responsible for starting legendary Manchester club night Electric Chair in 1995 and following its closure in 2008, their attention turned to creating an overseas party on the Adriatic coast. Having attended two of the previous EE festivals we all knew what to expect; sun, sea, music and a gathering of like-minded souls for 5 days of partying under the stars. At this year’s festival there was one main change from the previous successful formula; a location change from Petrcane to the beautiful town of Tisno. 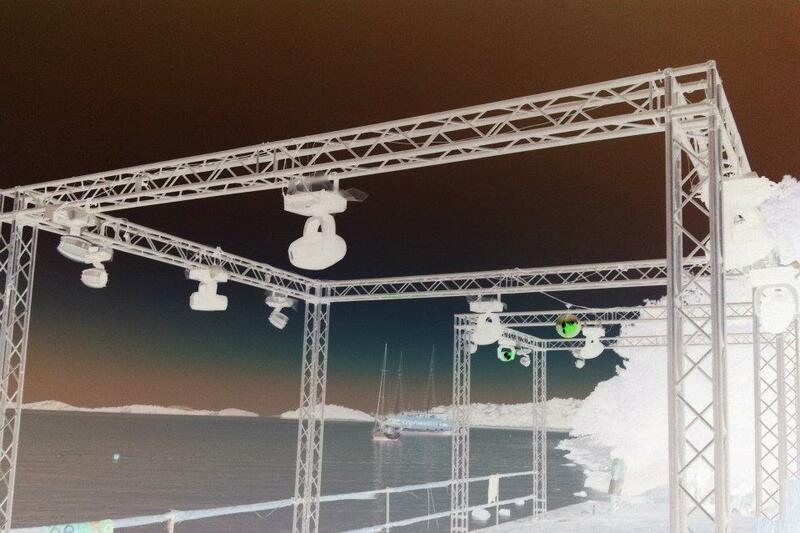 The new festival site is located in a secluded and private bay just a short walk from the main town. Luke Una talked of reserving judgment on the new site before the festival began. Having been forced out of their comfort zone with the site change, it was a big decision for the festival organisers in selecting the new location. From the second we arrived in Tisno it was clear that the decision they took was absolutely the right one. Tisno is a beautiful little town in its own right. The glorious Adriatic coastline, peppered with boats, restaurants, bars and beaches was an immediate feast on the eyes. The dreary UK weather leading up to this year’s festival made our arrival even more enchanting. From the second we stepped off the plane into the sun’s relentless glare, we knew we were in for a special week away. When we made our way on to the festival site itself, the smiles began to grow. They were to stay with us for the foreseeable future. The new festival location is as close to perfect as you can get. Arriving on site we were immediately taken aback by the beauty of our surroundings. Walking down to the beach bar, accompanied by the dreamy soundscape being emitted from the ever-present Funktion One sound system, our grins grew wider. We made our way across the site, past a stretch of beach and the familiar Tiki cocktail bar, towards the jetty that would later lead us to our date with the first daytime boat party - it was clear that the new site offered a vast improvement on what was already deemed to be a great previous location. The setting of the site in a curved, secluded bay meant that all of the daytime action was constantly in view. The bay itself was surrounded by an untouched and mainly uninhabited coastline giving us the feeling we were in the middle of nowhere. Making us feel special. A certain air of ‘togetherness’ was brewing. Electric Elephant has always offered the very best in musical curation. This year produced a stellar line up including The Unabombers themselves, Kompakt Records, A Love From Outer Space, Ewan Pearson, Bicep and Justin Robertson, to name but a few. Usual contributors Lowlife, Balearic Mike and Billy Scurry, and a handful of less known but equally talented jocks, added to an already heavy line up. Whether listening to the sounds at the beach bar, on the boat parties, from the main stage, or late night at Barbarellas, the musical programming was always exceptional. Music is a very personal thing, but my musical highlights? Michael Mayer was on point at the Kompact boat party, finishing with League Unlimited Orchestra ‘Things That Dreams Are Made Of’ and Primal Scream ‘Higher Than The Sun’. The Saturday Unabomber boat holds too many memories – a boat full of Elephants going wild to Earth Wind and Fire’s Fantasy and the Human Nature Remix of SWV’s ‘Right Here’ brought a tear to many eyes. Lowlife early doors in Barbarella’s on Friday provided a deep and hypnotic house music education. The Down to The Sea and Back boat party with Balearic Mike and Kelvin Andrews caused a crazy moment as Wham’s ‘Everything She Wants' blared out, and Madonna’s ‘La Isla Bonita’ saw the more Balearic side of things take hold. Amazing early morning scenes at Barbarella’s on Sunday night / Monday morning with a choice collection of party pleasers, including the fitting ‘Can You Feel The Force’ by Real Thing, brought to a close with ‘Grease is The Word’. The final Electric Chair boat with Billy Scurry triggered arms aloft and hugs aplenty with closing track ‘Space Oddity’. And these are merely the bits I choose to recall today. Tomorrow will see a new wave of memories and records brought back to life as the ever rolling facebook memory wagon cranks into action for another day. Trying to review the musical offerings at this year’s festival is impossible. All I do know is that on so many occasions I looked around to be greeted by a sea of smiling faces, arms in the air, tears of pure joy in eyes. And when they weren’t, the heads were down and the feet were shuffling to the futuristic party sounds pumping from the speakers. Electric Elephant always seems to have a habit of delivering exactly the right kind of music at the exactly the point when you want to hear it. From blissed out daytime Balearica, through to early evening, sunset grooving and late night party jacking - on land and at sea on resident festival party boat, the Argonaut. The sonic delights just never relent. Previous EE’s have always been a guaranteed good time. A unique, exceptional atmosphere and a sublime musical soundtrack. It was always difficult to see how such an impressive and successful formula could be improved upon. Somehow this year’s festival broke through the high standards set in previous years and took the atmosphere to a whole new level. It’s a cliché but you could literally feel the love around the place. It brought people together and banished feelings of doom and gloom surrounding so many of the irrelevant press communications of the last 12 months. And since arriving back in the UK that feeling seems even stronger. We were all witness to something very, very special in Tisno this year. A point cemented by the words of love and happiness that have been flying around facebook pages and reflective phone conversations since we returned. 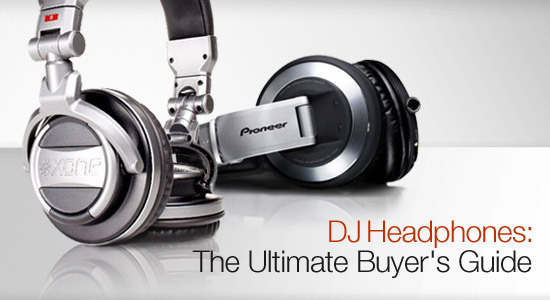 With hundreds of different models on the market, choosing the right pair of DJ headphones can be a daunting task. Juno Plus has made it easy with a new definitive guide, covering the whole range from budget headphones to top-of-the-range professional models. Each one is objectively reviewed and rated, along with full specs, prices, multiple images and a glossary of technical terms. Don't buy a new pair of DJ headphones before you read this! Really happy to have had over 100K visitors on Disco Deviant, it's taken a while but we have reached a nice milestone, keep coming back as they say! Got something special as a celebratory thankyou. Exclusive. Another killer cut from the coloured vinyl archives. A classic from the early 90's club circuit championed by Weatherall initially on the scene, although it is actually a Pete Waterman signing and production! Israeli pop and camp as Christmas - made total sense on a couple of doves. There are 100 D/L's now available of this, I've been playing it here and there and its worked for me everytime. Again got to credit Alphabet City for the speed in the studio...still think we need to take 4-8 bars out the mid section though..? We have been pretty fortunate over the past few years to have such a great set of people attending our parties. These wouldn't be so enjoyable without your continued support and the vibe you all bring with you. We would like to say thanks and have got an extra special event coming up. On July 27th the Olympics open and no doubt the ceremony will be screened in HD direct to millions of homes worldwide. We bet it's probably gonna be a bit crap compared to what we have on offer. HOW'S THAT FOR A THANK YOU?!! 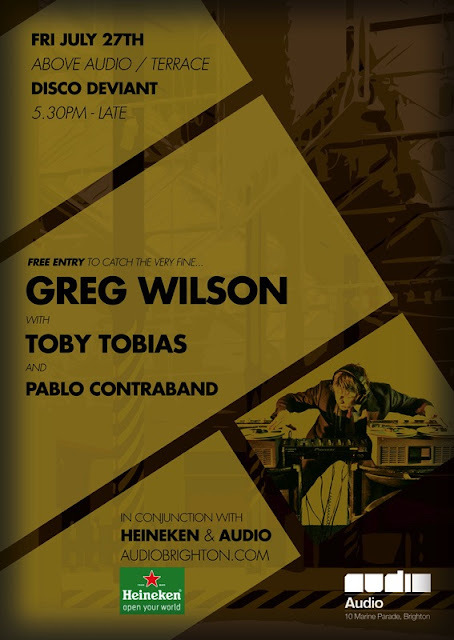 You can jump on the list by emailing full names to contrabanddjs@gmail.com this will be a first come first served basis and we're limited to 250 spaces. That's it for now some additional news will follow as the list gets busier we will issue 30 VIP passes in person at The Waterhouse on Thurs July 12th.